This month I have the honor of being the guest blogger on Pagan author, Barbara Ardinger’s site. Barbara is the author of Pagan Everyday and Secret Lives. Barbara’s blog is exciting because she updates it each time the sun moves into a different sign. Her profound take on stellar movement and what it means in our lives is awesome to track through her blog. Since the birth of our twins a little over three years ago, I’ve delved back into children’s literature in an entirely new way. As someone who works as a shaman, I’m always intrigued by the shamanic narrative told in everything. This narrative is the story told to the shaman by the body or emotions, through symbols which are interpreted to bring healing to the individual. We each have this collection of symbols, some unique, some joined in collective meaning. In reading to my children a narrative I commonly find is the story of soul wounding and healing. The most basic view of what a shaman does, thus the basic principle of the shamanic narrative, is an imbalance of power. Power is either missing from a place that it should be, or is in excess in a place where it shouldn’t be. A common state that results from this imbalance is called soul loss, perhaps the most common ailment shamans work with. Though I refer to it as “soul shelving,: it’s a state in which one (or more) of the infinite facets of the soul has wandered out and cannot reconnect with the manifest consciousness. Wandering out is our natural state of widening our awareness, and we often accomplish this through dreams, creative processes, engaging new ideas and feelings. Upon experiencing trauma, soul parts leave and often can’t reconnect with the earthly consciousness, resulting in the state of PTSD. How this reaction to trauma manifests can range from severe self-destructive behavior to mild depression, the onset of physical illness, or the general sense that one isn’t quite one’s self anymore. This interrupted flow of life force abrupts personal power. In reading to our kids, I see this journey from wounding to loss of power, to victorious balance and empowerment in children’s stories. Take the beloved Winnie the Pooh character, Tigger. Everyone knows him for his ability to revel joyfully in life, specifically for his ability to bounce as both a way to experience joy and share it with others. Because it is his most fond pursuit, it is his soul’s expression. Laura Driscoll’s The Search for Tigger’s Bounce, a later addition to the Winnie-the-Pooh series based on works by A. 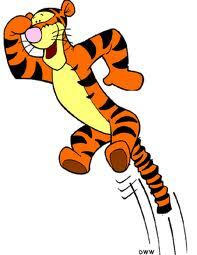 A. Milne, describes such a journey from soul wounding, through the story of Tigger’s lost bounce. He can recall when he last bounced and that he doesn’t feel like bouncing now, but he doesn’t know the root of his lethargy and woe. Tigger realizes that his bounce has gone away, and that it went away so suddenly he didn’t know where he lost it. This is a typical description of the lethargy and sense of disconnection that occurs with soul loss. Senses and awareness we had prior are simply gone. Tigger’s ability to articulate how he feels and the symptoms around not being able to bounce demonstrate how we can intellectualize that we should be able to do something, be aware that it’s not working properly, yet we can’t just by knowing those things force it to be fixed. This is another symptom of soul loss. His friends offer to come along and help him look for his bounce. This is a common facet of the shamanic narrative—the acquisition of spirit allies—Nature spirits, angelic guides—who support and assist along the way to healing. Eeyore, Piglet, Roo and Pooh set off to help Tigger find his bounce. Roo suggests that Tigger return to the place he last had his bounce so the group can search for it there. This return to the source of imbalance is akin to the induction into trance in the shaman’s decoding of the narrative, and is also symbolic of Tigger having to face what caused his bounce to leave. In the shamanic narrative there is always some realization of returning to the source of trauma—figuratively or literally—in order to heal it. In observing the stream where Tigger was playing when he lost his bounce, the group learns that he was bouncing on a fallen tree trunk, which bridged the stream’s banks. While bouncing on the fallen tree, Tigger realized he was above water and become very afraid. Pooh then deduces that Tigger’s bounce had been startled out of him. Having an aspect of the soul leave in times of duress is a classic feature of soul loss. Often in trauma one can articulate the feeling of a part of self leaving, afterward feeling fragmented or that something is missing. In this case, Tigger’s bounce was missing. In being faced with a deep fear, his power had left him. The group looks high and low for Tigger’s bounce, only no one finds a thing. No one can identify exactly what Tigger’s bounce looks like, so they aren’t sure how to find it! Drawing on the expertise of yet another ally, Christopher Robin, he points out, “I think you got startled on that tree trunk. And then you got worried about bouncing. But you could never lose your bounce,” he says. Christopher Robin represents the voice of the shaman, interpreting the symbols of Tigger’s story of losing his bounce, drawing meaning from them so personal to Tigger that he acquires a context in which to understand, thus overcome, his fear. With the support of his allies and through the process of them witnessing his journey to reconnect with his bounce, and with Christopher Robin’s affirmation of his power, Tigger gains the confidence to try to bounce again. In the shamanic narrative, gaining the support of one’s tribe is the deepest fostering of healing. It is the bestowal of power. Within that support, power is recognized, thus balanced, and the wound released. In the end, just like Tigger, we may not know where we lose bits of our power, but we fully recognize their absence. Armed with the insight of the shamanic narrative in All Things, we gain support to go back and find our bounce. The Search for Tigger’s Bounce, Laura Driscoll. Disney Enterprises, Inc., 2004. My friend Kelley is author of Gift of the Dreamtime – Awakening to the Divinity of Trauma, now out in its second edition. Her shamanic practice is Soul Intent Arts. You can Google her name and gets lots of hits and also find her on Facebook, @SKelleyH, , GoodReads and (good for her!!!) The Huffington Post. Check her out. She’s very wise. Tell her I said hi.